The wee boy skipped his nap today, so bed time was at a lovely, early hour, giving me plenty of time to knit. 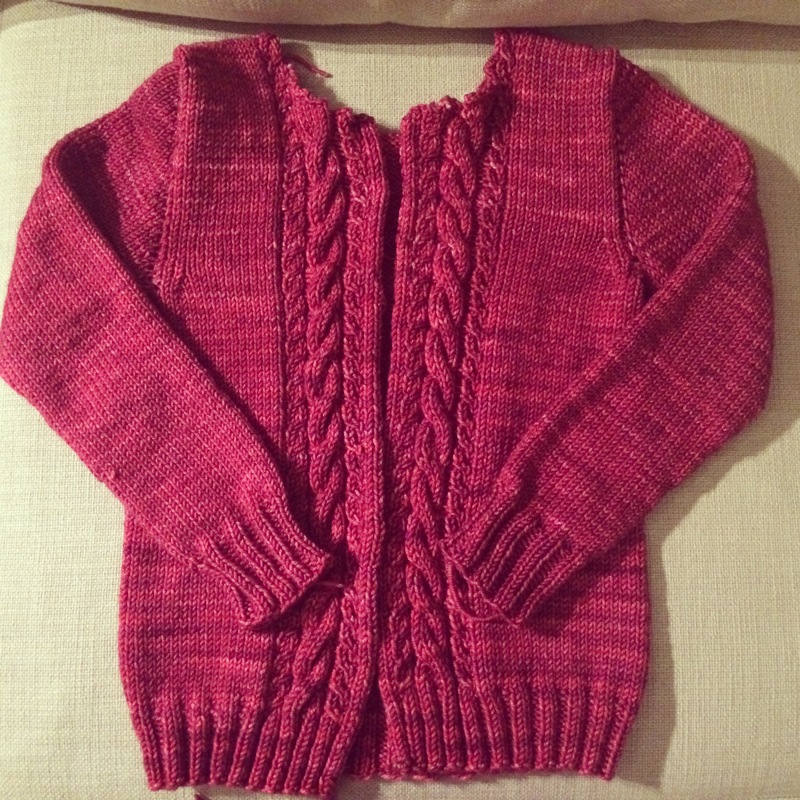 I was able to finish the second sleeve of my Alpengluhen cardigan! I don’t know if it will be noticeable, and at this point I don’t exactly care, but because the Madeleine Tosh yarn is hand-dyed and each lot is different, etc., etc., I alternated skeins for the body. However, by the time I got to the arms, I was tired of twisting and untwisting the skeins, so I didn’t alternate. One arm might be a little lighter than the other, but I don’t think I’m going to care.